BMW 335 Diesel E90/91/92/93 replacement turbo outlet hose. 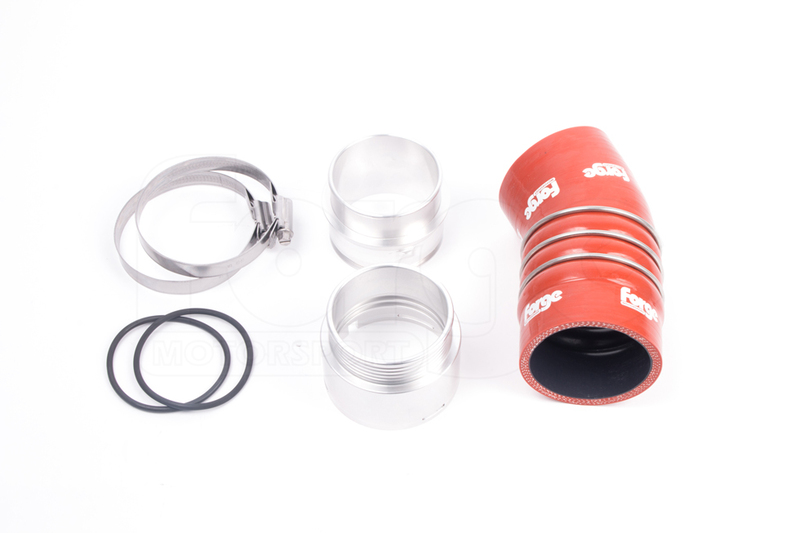 A combination of heat, oil and boost pressure at the turbo outlet expose the general weakness of the stock turbo outlet pipe, resulting in degradation of the stock hose wall and metal couplings. After suffering this hose failure (and the associated boost/power loss) customers are then faced with an expensive replacement, however poor quality, from BMW. 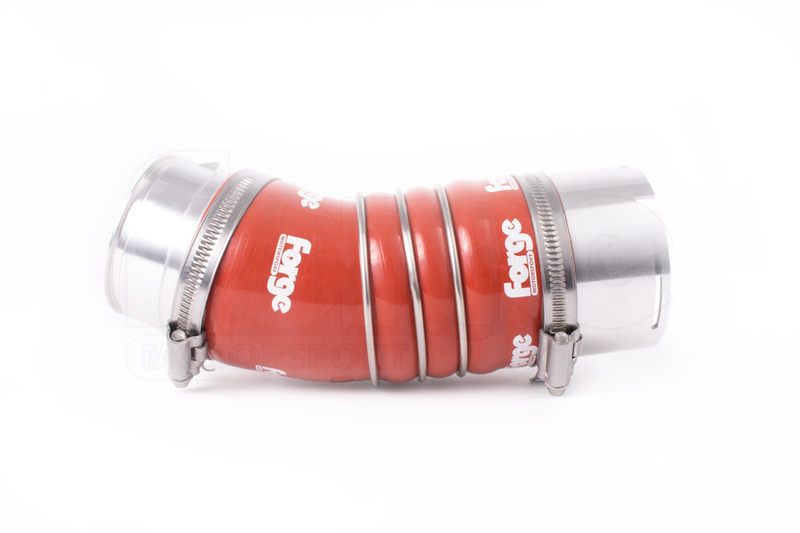 The Forge Motorsport solution is a 4ply fluoro-lined silicone hose designed to withstand the typical temperature, pressure and oil corrosion at the turbo outlet juncture. 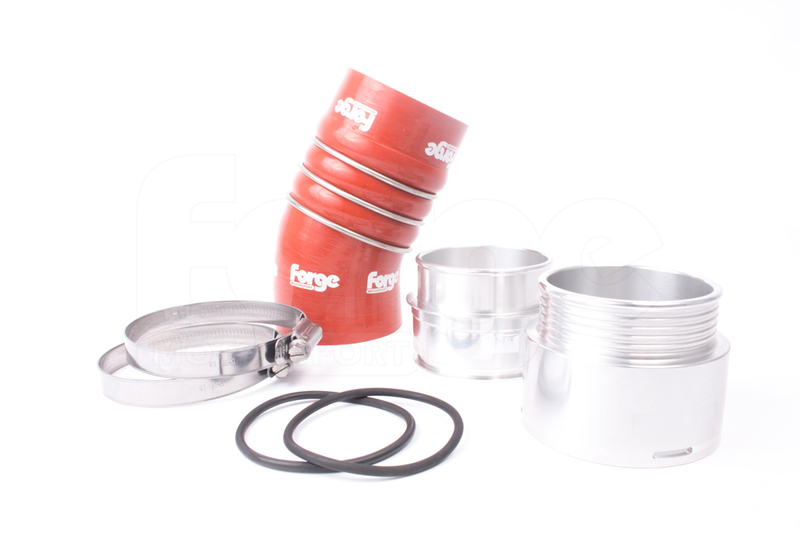 CNC machined alloy couplers achieve a snug fit to complete another high quality Forge Motorsport product. Please note this kit is not supplied with the male coupler o ring, and the original o ring must be removed from the stock male coupler for fitment to the Forge Motorsport male coupler. If the o ring needs to be replaced an original can be bought from BMW under part number 11618506786, or 11617791470. These two part number represent the original and superseded o ring part number, both of which are same quality and size o ring. Very good quality and figment, thank you for fast response and shipping , I recommended for bmw diesel owner !